Three years ago, when I started my blog, one of my first blogs was about the sand mandala creation. To me, it is one of the coolest things to see created. 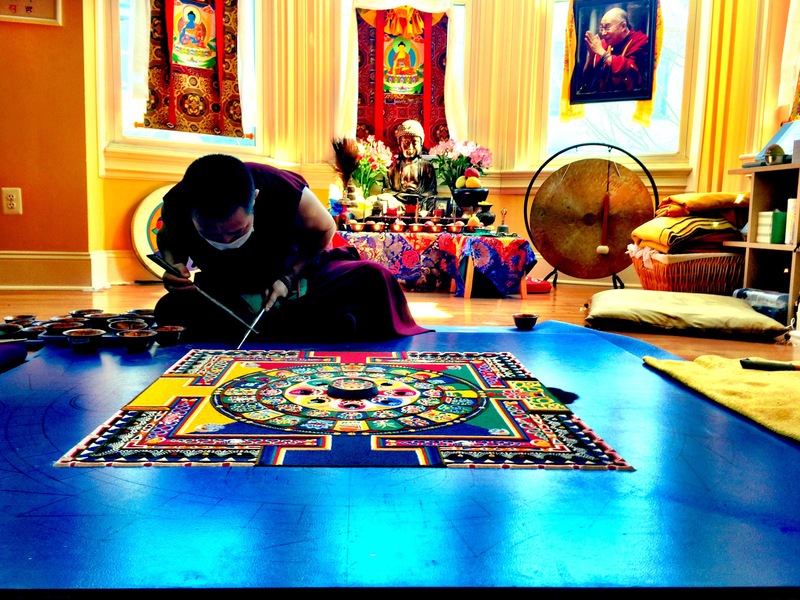 It takes millions of grains of sand and many hours to create the Sand Mandala. I saw the monks find a couple of grains of sand out-of-place and correct it before they continued. The patience it takes to create the Sand Mandala is indescribable. 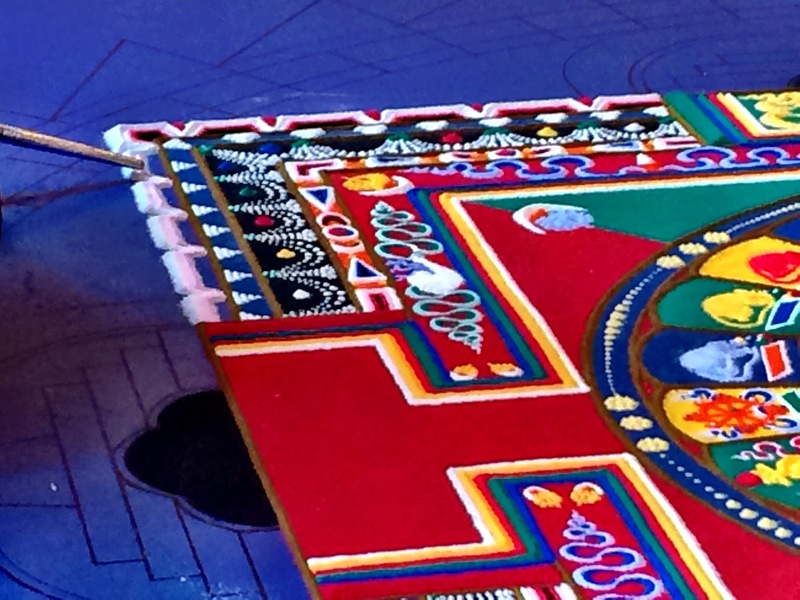 After the construction of the sand mandala, it is dismantled in a ceremony. Those that are in attendance receive some of the sand and the rest is usually released into a river to help heal the world. The first time I saw this, I was in awe. The monks created this and then dismantled their creation. It showed me that nothing is permanent and not to be tied to material items. 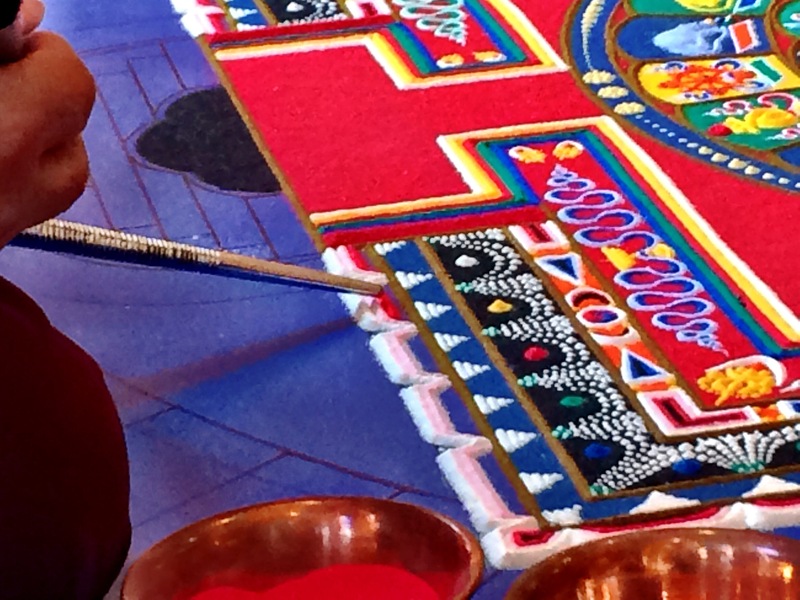 The Monks are creating this Sand Mandala at Sun Dog Yoga Studio in Doylestown. You can check out the schedule on their website. How beautiful……both the mandala and the concept. Absolutely amazing what beauty can be created from sand! So far I have seen some wonderful sand sculptures but never anything like this. 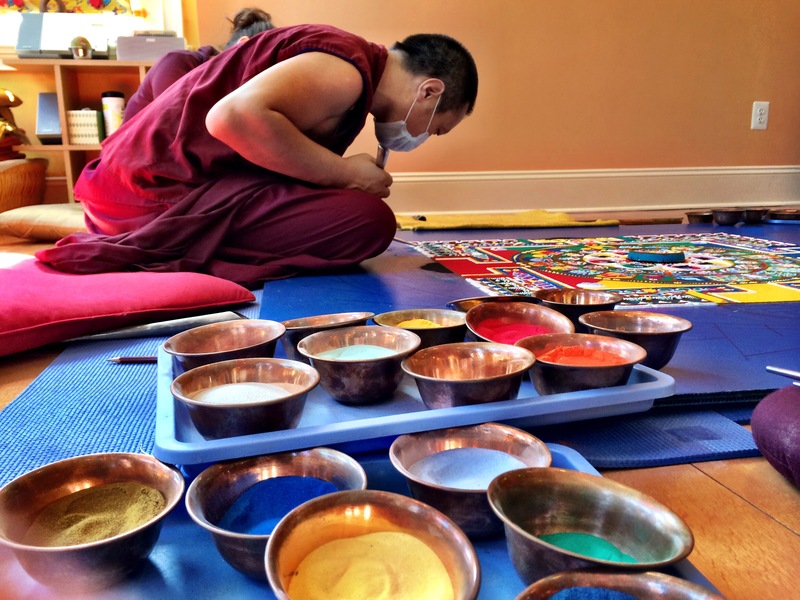 Do the monks dye their own sand or is it pre-colored? Such vibrant colours! Beautiful pictures!